The finest choice during your visit to Kolkata is going to be droping by a Kolkata Pool. Before trying any pool, make sure you know the rules and regulations for varieties of Kolkata Swimming Pool as they may not be the same as in your home town. We suggest you get in touch with the pool directly to ask when you will need a hat, and what type of footwear or specific clothing you will need. Regular users of the following varieties of Kolkata Swimming Pool told us the most important thing about swimming would be to manage your breathing. Sometimes this is not potential because we raise the neck to breathe and the body is not aligned. To avoid this, our head should be aligned with our spine all the time. 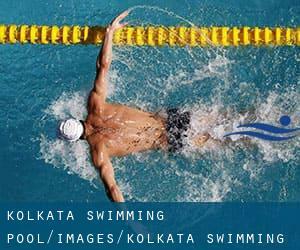 Swimia.com has the most up-to-date database on the internet about almost any Kolkata Pool. Classified by countries, regions and cities, it is easy to locate the nearest pool at the places you visit. For Kolkata, you may have a look at the pools we've gathered for you. We in all probability do not know all the Pools in Kolkata. Are you missing any? Contact us!. Swimia.com desires your feedback on Aquagym in Kolkata to ensure all the information about swimming in Kolkata is valid. 18 Golf Club Road , Tollygunge , Kolkata (Calcutta) , West Bengal , INDIA (Postal Code: 700 033). This sports centre offers 25 meters, Outdoors. For this Swimming Pool, only phone number is number here. 7 Wood Street , Kolkata (Calcutta) , West Bengal , INDIA (Postal Code: 700 016). Swimmers like you reported 23 meters, 4 lanes, Indoors. Unfortunately we do not have the e-mail address of this Pool, but we can give you the phone number. Strand Road , Kolkata (Calcutta) , West Bengal , INDIA (Postal Code: 700 001). This sports centre offers 25 meters, Indoors. Contact knowledge for this Swimming Pool such as phone number and e-mail address are number. 34B Belvedere Road , Alipore , Kolkata (Calcutta) , West Bengal , INDIA (Postal Code: 700 027). This sports centre offers 25 meters x 10 meters, Outdoors. Contact information for this Swimming Pool for example phone number and email address are number. 120 Deshapran Sasmal Road , Kolkata (Calcutta) , West Bengal , INDIA (Postal Code: 700 033). Swimmers like you reported 25 meters, 4 lanes, Indoors. Phone number and email address are number for this Swimming Pool. 42, Jhowtolla Road , Kolkata (Calcutta) , West Bengal , INDIA (Postal Code: 700 019). Among all the activities offered by the centre, for anyone who is interested in swimming you might appreciate ~24 meters, Outdoors. Just in case you would like to contact this Pool just before dropping by, we only know the phone number. Enjoy the best indoor pools in Kolkata and don't worry about the weather. These facilities are open all seasons and you can enjoy a swim at the same temperature every day of the year. One of the advantages of outdoor swimming in Kolkata will be the possibility to sunbathe during the summer time season. Taking it with added care, sunbathing is healthy since introduces Vitamin D into the body, so the ideal alternative seems to be switching between indoor and outdoor pools depending on the season. If you're tired of having eyes and irritated skin, obtaining a saltwater pool in Kolkata can be the solution. You should know that the degree of salt from these pools is nicely below the degree of salt from sea water, specifically they are talking about a tenth or much less. There are several reasons why you might want to choose a heated swimming pool in Kolkata. One of the most significant one relies on the importance of keeping the body temperature stable. When the water is too cold, your body will try to warm it up and you will lose strength to swim properly.